With the new trailer for Rogue One: A Star Wars Story just hours away from release, hype is building and news about the film seems to be popping up everywhere. The latest bit of information regarding Rogue One comes to us from the official Star Wars site. 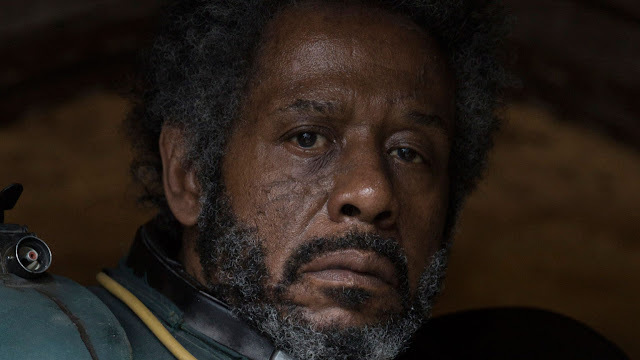 StarWars.com's Databank has been updated to include a collection of characters, vehicles and locations from Rogue One, and with it we got some interesting new details! "A small desert moon frosted by a permanent winter, Jedha is home to one of the first civilizations to explore the nature of the Force. At one time a world important to the Jedi Order, Jedha serves as a holy site for pilgrims from across the galaxy who seek spiritual guidance. Now, the Empire occupies Jedha, and a prolonged battle between Imperial forces and scattered Rebels carries on in the timeworn streets." "A battered veteran of the Clone Wars as well as the ongoing rebellion against the Empire, Saw Gerrera leads a band of Rebel extremists. Saw has lost much in his decades of combat, but occasional flashes of the charismatic and caring man he once was shine through his calloused exterior. Gerrera is bunkered on the ancient world of Jedha, coordinating a prolonged insurgency against the Imperial occupation. Saw’s ailing health has not withered his resolve to fight." "The planet Scarif would be a beautiful tropical paradise if not for the presence of a major Imperial military installation. Scarif is the principal construction facility for the vast Imperial war machine. The world is enveloped in impenetrable deflector shields and is heavily defended." 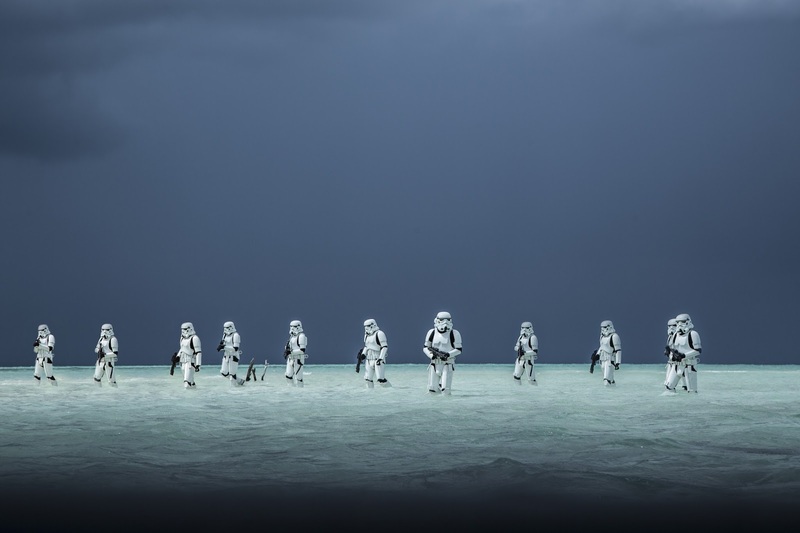 "Specialist stormtroopers stationed at the top secret Imperial military headquarters on Scarif, Shoretroopers patrol the beaches and bunkers of the planetary facility." 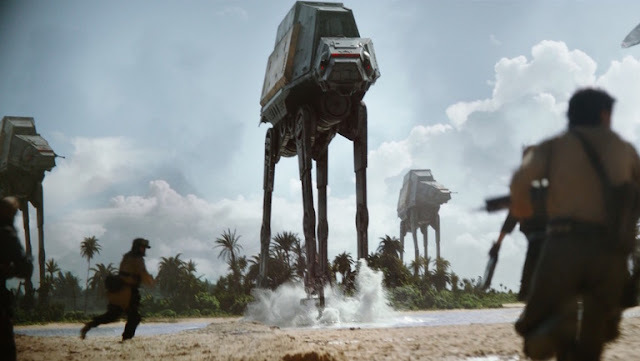 "A larger version of the standard combat AT-AT, the AT-ACT walker features a dedicated cargo bed for the transportation of heavy building materials or combat munitions. It was deployed at major Imperial construction projects, such as shipyards and sprawling research installations." 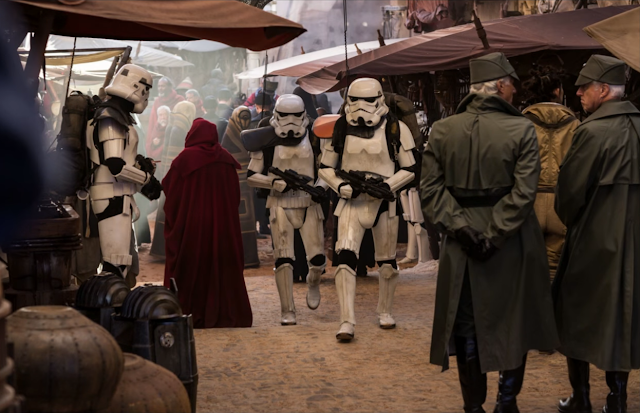 The fact that Jedha is a cold planet, despite looking like a warm desert world, explains the heavy jacket Cassian Andor has been seen wearing in various photos and footage. 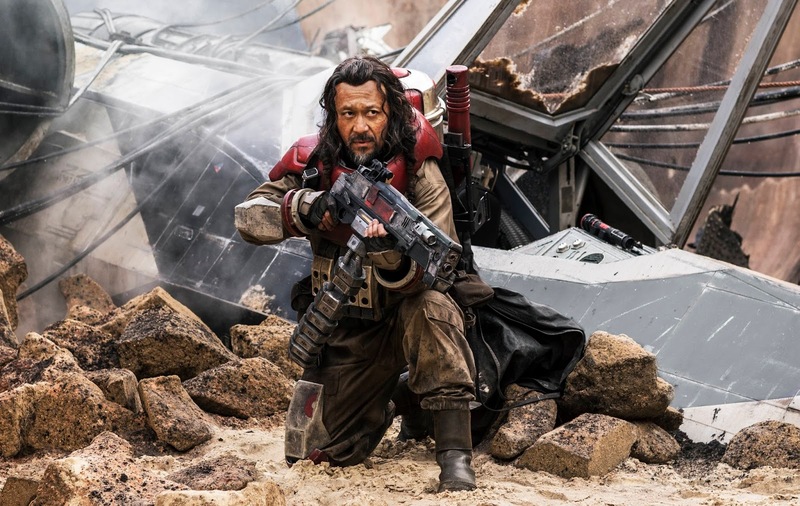 And Saw Gerrera being on Jedha gives us a clue that a large portion of the film will most likely play out there. It's also interesting to speculate that there may be more going on at Scarif than just the Death Star's final stages of construction(not that that isn't enough).